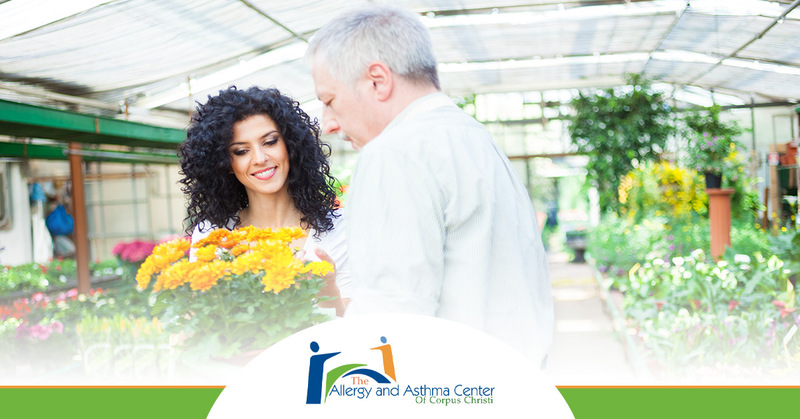 At the Allergy and Asthma Center of Corpus Christi, we are proud to serve residents in the greater Corpus Christi area with high-quality allergy and asthma testing services. We welcome patients new and old to come visit our allergy testing center to find relief from the irritation and discomfort that comes with allergies. Contact our Corpus Christi allergy center today to set up an appointment! While some people choose to take a plane for their summer traveling, others love to take long drives in the car to their destination. While this is a fun way to take a trip, especially with a family, being conscious of your allergies while doing so is incredibly important. With the heat that sometimes comes with summer months, many are tempted to travel with the windows open. This can actually make your allergies worse, as it will allow the outdoor allergens to find their way into your car’s air supply, making it difficult for you and anyone else who suffers from seasonal allergies. The best solution? Run the air conditioner. While this does contribute to your overall fuel efficiency, it’s actually more beneficial for it than trying to drive with the windows open, as opening your windows increases your car’s drag, requiring more gas for it to run. Running your air conditioner will provide you with the relief from heat that you desire, but it will also help ensure that you keep your allergies in check. While summer is a great time to spend outdoors with family and friends, you will inevitably be spending time indoors during the day and night. With this in mind, another great way to reduce summer allergies is to run an air purifier while you’re at home. Whether you suffer greatly from seasonal allergies or notice mild irritations every now and then, running an air purifier in your home can help reduce the amount of allergy symptoms you feel while spending time indoors. If you’re the sort of person who runs multiple air purifiers throughout your home in an attempt to seek relief, you may want to consider a whole house air purification system, which can do wonders for those of you who struggle with indoor allergies. Summertime comes with a unique set of irritations, among them being the many different types of bugs who choose to bite us while outdoors. Whether you’re sensitive to mosquitoes or allergic to bee stings, being prepared for bug bites is key to maintaining your allergies. If you’re allergic to bee stings, doing your best to avoid them at all costs is key, but having an EpiPen handy will be helpful should you or anyone else find themselves stung by one. Additionally, an array of over the counter allergy medicines should help provide you with relief from the itchiness and swelling that comes with irritation from mosquito bites. Those are just a few examples of how you can reduce your allergies this summer. Contact our Corpus Christi allergy clinic today to set up an appointment!